The lanternflies are strikingly attractive insects belonging to the bug family Fulgoridae, adorned with bizarre ornamentation and colours. 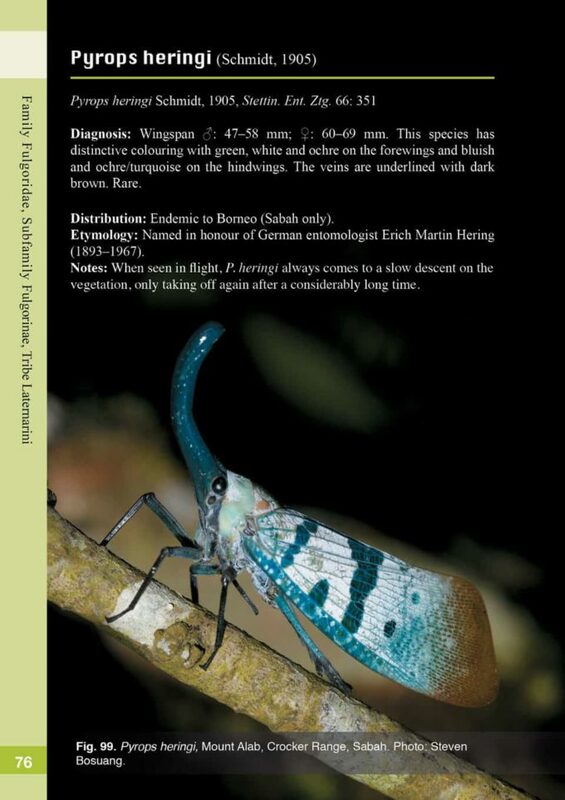 Surprisingly, although there is a great deal of interest in collecting lanternflies worldwide, there is no general book published on these amazing insects until now. 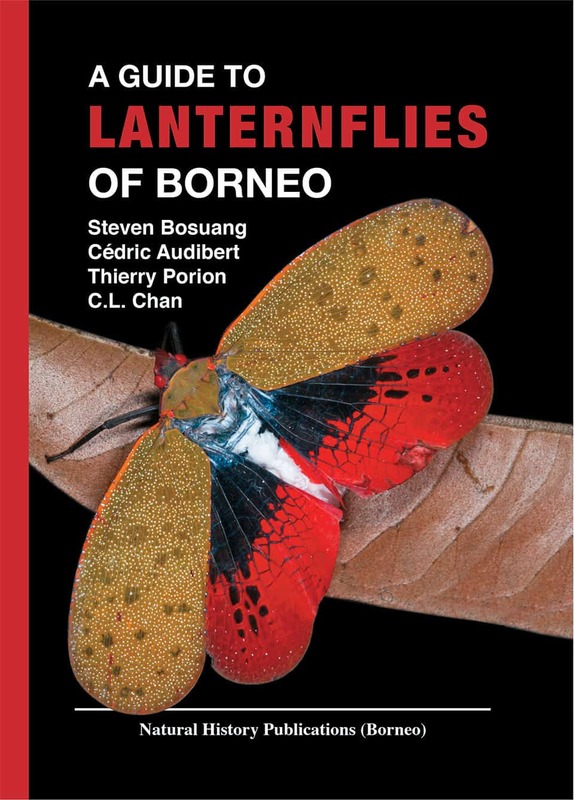 Borneo — one of the world’s most exciting biodiversity hotspots — is renowned for its spectacular species richness residing in evergreen tropical rain forests, home also to a myriad of insects, including the lanternflies. 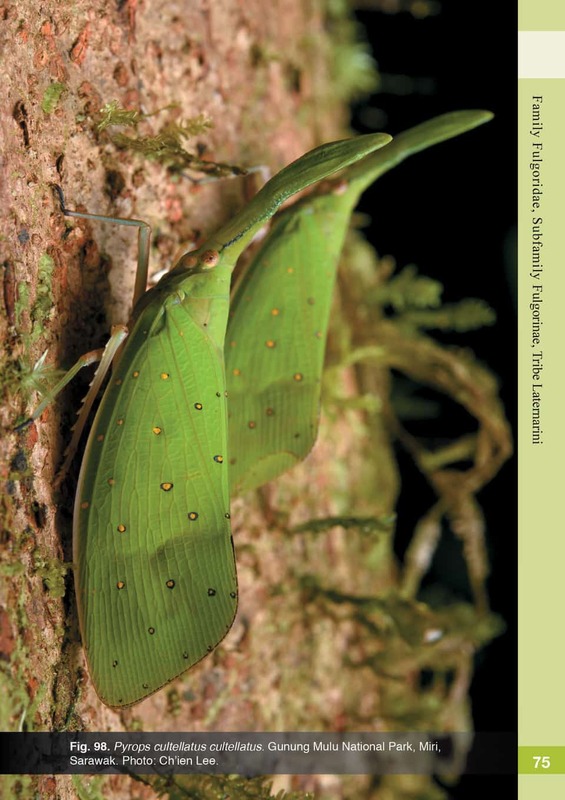 Thus far, just 34 taxa are known from Borneo which are classified in four subfamilies, viz., Lystrinae, Amyclinae, Aphaeninae and Fulgorinae. 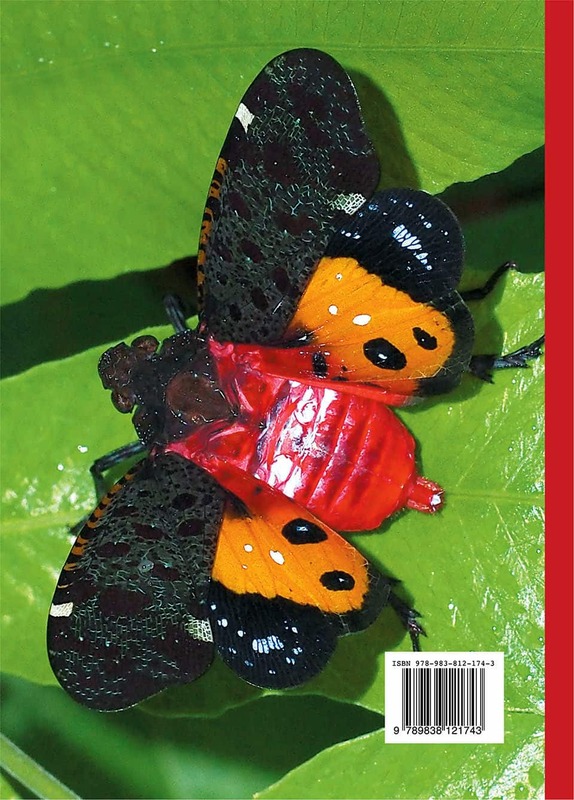 There are too few specialists working on lanternflies, and many more new species are expected to be discovered and described in the future, so this Guide draws attention to these fascinating insects in a timely way. 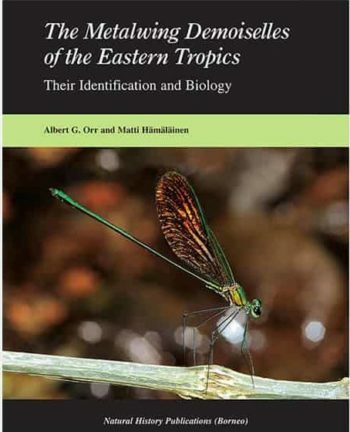 Pyrops, the largest genus in the Fulgorinae in Borneo, is represented by 10 taxa (9 species and a subspecies), all having a forward and upwardly curving, protuberance on the head that also characterises the genera Datu, Saiva and Zanna (each with a solitary species known); Saiva karimbujangi and Egregia have only very short head processes. On the other hand, the genera Polydictya (7 spp. ), Scamandra (6 spp.) and Penthicodes (4 spp.) do not have such a process, and Prolepta ferocula and Samsana chersonesia borneana in subfamily Amyclinae have unusually thin head processes. In particular, our knowledge of the ecology of these insects is rather wanting. The Bornean lanternflies are found throughout the year although never as abundantly as moths and beetles. They are weak flyers and are active during the day, although at night many species are attracted to light. They are generally covered by white wax on their wings and abdomen, have sucking mouthparts and derive nutrition from the phloem of plants. 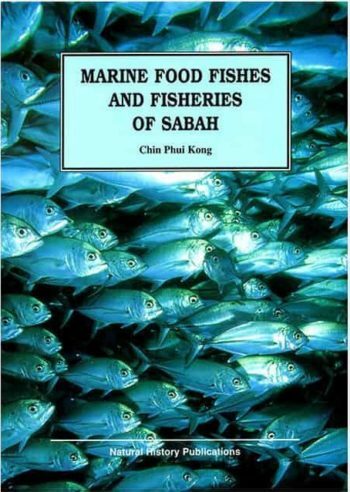 Little is known of their host specificity but it is generally believed that they are non host-specific, although along north Borneo’s Kinabatangan River, they have often been found on Mata Kuching fruit trees (Dimocarpus longan ssp. malesianus). Much lanternfly mystery awaits the keen enthusiast.